Recently homeopathy has been in the news, thanks to statements by the Food and Drug Administration (FDA) and the Federal Trade Commission (FTC). Some of you may remember that in 2015 I sent an email asking you to send a statement to the FTC about your experience with homeopathy. They were concerned about claims on labels of OTC homeopathic remedies. Specifically, products that contained multiple remedies in one bottle and claimed to be effective for a particular condition, such as allergies, colds, teething, etc., were in their sites. Then in the second half of 2016, Hyland’s “voluntarily” removed their Teething Tablets from the stores in the United States. There were claims that they caused seizures in some children who took them and that 10 children died. (I know this sounds shocking, but keep reading. There is a likely explanation.) The FDA harassed them until they discontinued sales in the US. If you wish to read the entire workshop report, it can be found at the bottom of the same page. This ruling is biased and contains untruths. The entire report contains incorrect information and a good deal of the research, and the conclusions they draw are unimportant or incorrect. The following are five things to keep in mind when it comes to the FDA/FTC and Homeopathy. The FDA and FTC are biased against homeopathy. There is a long history of this bias, with the American Medical Association being formed, in part, to “rid the world of the scourge of homeopathy.” So it is safe to say that they are not hoping to help homeopathy in anyway. One can also see this bias in the language used in the report. For example, “To address concerns that many consumers are likely being misled by current marketing claims….” assumes that the companies that make the homeopathic remedies are being misleading. Their customers are being misled only if the statements are not true. There is an assumption that the statements are not true. The other bias that appears in this report is the non-acceptance of homeopathic provings as scientific evidence that a remedy works in a particular way. Any two people with the same diagnosis will more than likely NOT need the same remedy. So it is hard to say whether a remedy will help or not. It might help one person but not another. Largely, this report and ruling is addressing poly-pharmacy remedies. These are remedies that contain many remedies in one bottle, usually X potencies. They may or may not work, but the idea is if there are enough different remedies in the bottle, one of them ought to work. And when dealing with X potencies, you don’t need to get an exact remedy in order to get a positive response. These may work fine for acute, self limiting situations, but for chronic dis-ease, it is not a good choice, as it likely will not make a permanent change. But lets be clear. There are hundreds of well-designed studies that show that homeopathy works, even though doctors don’t like to admit it. Do these poly-pharmacy remedies have a similar study? Probably not. Finally, the new labels will have to say that homeopathic remedies are “not accepted by most modern medical experts.” Experts who KNOW NOTHING ABOUT HOMEOPATHY, so therefore, are NOT experts. The FDA and the FTC do not understand homeopathy. Because homeopathic remedies are considered “drugs” in the FDA world, it is required that the bottles indicate what the remedy is used for. So when you are looking at the blue tube Boiron remedies in the store, you may see some indication of usage on the labels. So if you pick up a tube of Sulphur 30C, the bottle will say Acne on it. A quick search in the Homeopathic Repertory shows over 200 remedies for facial acne. So the likelihood that Sulphur is going to help is less than 0.5%. Another search in the Homeopathic Repertory that I use most often shows that there are 17,634 symptoms that are known to be associated with Sulphur either in clinical settings or through a proving. And the bottle says “Acne.” The bottle displays 0.005671% of the symptoms known to be helped by Sulphur. How useful is that? If they really understood homeopathy, they wouldn’t put anything on the labels other than the contents. Or they would explain that this is just one thing it may help and that other remedies may be a better option. 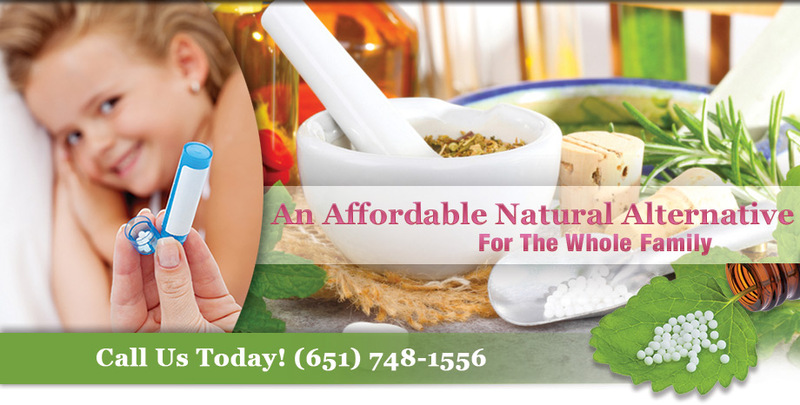 They would suggest that consumers check with their trained homeopath for assistance. And yes, the obvious conflict between the FDA requiring the label indicate usage and the FTC requiring certain types of evidence was brought up in the Workshop Report. The full workshop report did not include any information about the new research which is identifying how homeopathy works, and that it isn’t on a chemical basis, but rather on an energetic basis. They also did not explain that many pharmaceutical drugs work on the basis of Like Cures Like. It is just that they are using crude doses, rather than energetic doses. The fact that many things in our lives are homeopathic does not register to them. Do you ever watch a sad movie when you are feeling down? That is homeopathic. Have you ever had a cup of coffee to calm yourself down? That is homeopathic as well. People who have cigarette to calm themselves are engaging in homeopathy. For most people, nicotine causes anxiety, but for some, it is homeopathic, albeit crudely so. The FTC Ruling and the Workshop Report have misleading statements. How ironic is that? The FTC makes a ruling that they are concerned that homeopathic remedies are misleading on their labels. But in the report of their workshop and in their ruling, they are engaging in misleading the public. The first misleading statement is that homeopathy is based on an idea from the 1700’s. While he did experiment in the 1700’s, the time he produced his best work was from 1804- 1811. The late 1700’s produced rich data, but the theories were cemented in the 1800’s. The suggestion in their ruling and label requirements is that these ideas are old and discarded because they are from the 1700’s. This is not only false, it is purposely misleading. In addition, the FTC felt that anything other than rejecting homeopathic remedies would be considered misleading. The fact that someone might be willing to take a remedy was inherently misleading, because of their bias towards western medicine. The FTC felt that didn’t think people really understood that the remedies weren’t “approved” by the FDA and didn’t know the difference between homeopathy and naturopathy and other natural modalities. Therefore, anything on the label is misleading. I wish they had given me the money that they spent to do that research project. This is an ongoing problem with classical homeopaths: people don’t know the difference between all the modalities. And you know what? They don’t care. Several years ago, the Minnesota Homeopathic Association did a focus group study on its own about what makes people decide to do homeopathy. The most important factor was that it worked. They wanted to know it worked. They didn’t care how it worked or why it worked, or what it was called. They didn’t want an explanation. They just wanted to get better. My personal experience as a homeopath in fielding calls shows that people don’t trust the FDA, so if a remedy was “approved” by the FDA, many people are less likely to be interested than if it is natural medicine which the FDA has not gotten involved with. As clients continue to use and trust homeopathy, they are more interested in the what’s, why’s and how’s. The section of the Workshop Report which outlines the focus group reported this: “These results suggest that many consumers may choose homeopathic products based on incorrect and incomplete information about them. When given additional information, however, they looked more critically at homeopathic treatments and had a better basis on which to evaluate them in comparison to other remedies.” P 15. I can only imagine what they told them and how they told them. Please see section number 1 above on bias. Hyland’s Teething Tablets: A logical explanation. The story is that it caused seizures and death in children. That’s a pretty serious accusation, with not a lot to back it up. There were no studies, and there was no causal relationship made between whatever tragedy struck families and Hyland’s teething tablets. Babies begin showing signs of teething pains from 3 months old throughout their first year of life. What else happens to babies at that time of their lives? Vaccinations! Seizures as a result of vaccinations is so common, that the Vaccine Court will not even pay a parent for vaccine damage resulting in seizures. And death? Oh yes. Vaccines do kill babies. The Vaccine Court does pay for death as a result of vaccinations. I felt that the FDA would not have been able to forcibly stop Hyland’s from selling Teething Tablets in the US because there may have been a light shown on the vaccinations as the potential cause of the problem. This would have stopped them from doing anything other than issuing the warning. So what is a mother to do when her baby is teething in pain? Teething Tablets are a poly-pharmacy product. They contain several of the most common teething remedies. There are many remedies for teething, and choosing one based on the symptoms your baby is showing is really the best way to help a baby get through a difficult time of life. If you need help choosing a remedy for your baby while he or she is teething, please contact me. This ruling does not apply to the remedies my clients get from me, and I do not believe it applies to the single remedies that many people buy in the blue tubes. It applies to the poly pharmacy remedies. There will be a label explaining that there is no information on its effectiveness and that the remedies are based on an idea from the 1700’s and that modern medicine does not think they are valid. They will still be available. Regardless of the opinion of the FDA and/or the FTC, homeopathy works in amazing ways. And it will continue to do so. The remedies are still safe (GRAS), and will still continue to help you and your family.